Fifteen-year-old Matt Gratton and his two best friends, Coop and Sean, always set themselves a summertime goal. This year's? To see a real-live naked girl for the first time -- quite a challenge, given that none of the guys has the nerve to even ask a girl out on a date. But catching a girl in the buff starts to look easy compared to Matt's other summertime aspiration: to swim the 100-yard butterfly (the hardest stroke known to God or man) as a way to impress Kelly West, the sizzling new star of the swim team. In the spirit of Hollywood’s blockbuster comedies, screenwriter-turned-YA-novelist Don Calame unleashes a true ode to the adolescent male: characters who are side-splittingly funny, sometimes crude, yet always full of heart. In a starred review, Publishers Weekly raved, "The boys' pursuits make for a hilarious, if raunchy, what-I-did-last-summer narrative, supported by a cast of memorable adults, including a take-no-prisoners swim coach and Matt's grandfather, who is on a parallel romantic journey. This one will spread like athlete's foot in a locker room." Los Angeles Times cheered the "Audacity in the humor and a sweetness in the conclusion that set it apart." Read an excerpt or sample chapter (PDF). Check out this author interview (PDF); peek: "The story sat in a notebook, and I didn’t think much about it until my wife mentioned that she thought it would be a great kicking-off point for a young adult novel. She had just published a young adult novel herself and felt there was a real need for material that would appeal to boys on a humorous level." 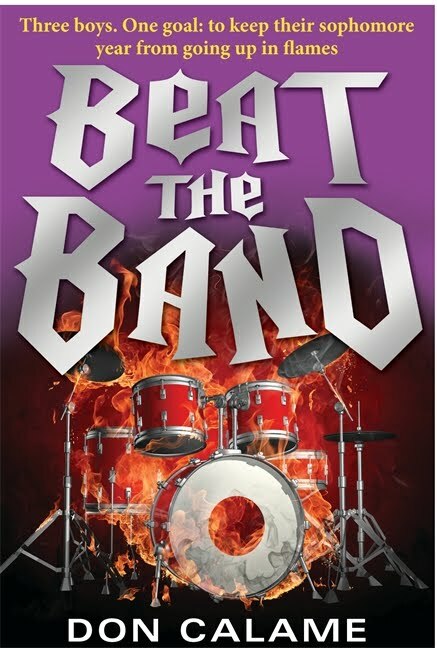 Note: The sequel to Swim the Fly, titled Beat the Band, will be released by Candlewick in September 2010. 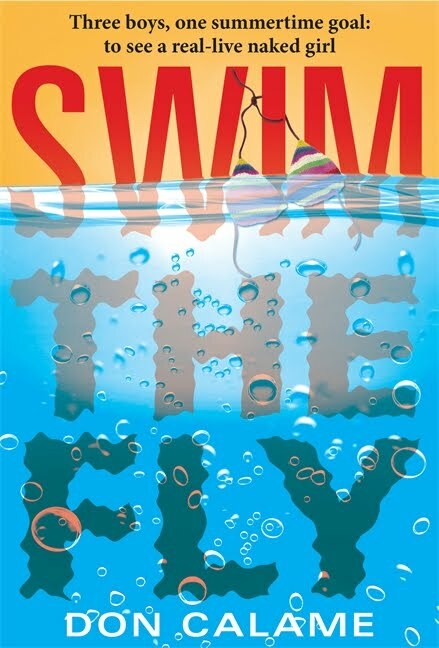 To enter to win Swim the Fly, email me (scroll and click envelope) with your name and snail/street mail address and type "Swim the Fly" in the subject line (Facebook, JacketFlap, MySpace, and Twitter readers are welcome to just privately message or comment me with the name in the header/post; I'll write you for contact information, if you win). Deadline: June 30. Sponsored by Candlewick Press; U.S. entries only. June Giveaway Update: the winner of Smells Like a Dog by Suzanne Selfors (Little, Brown, 2010) was Lisa in Colorado, and the winner of Morpheus Road: The Light by by D. J. MacHale (Aladdin, 2010) was Jennifer in Wyoming. Thanks to all who entered! Revision - Chapter Summaries by Brian Yansky by Brian's Blog - Writer Talk. Peek: "My editor did something I’d only tried once. That time it hadn’t really worked for me. This time it helped a lot." 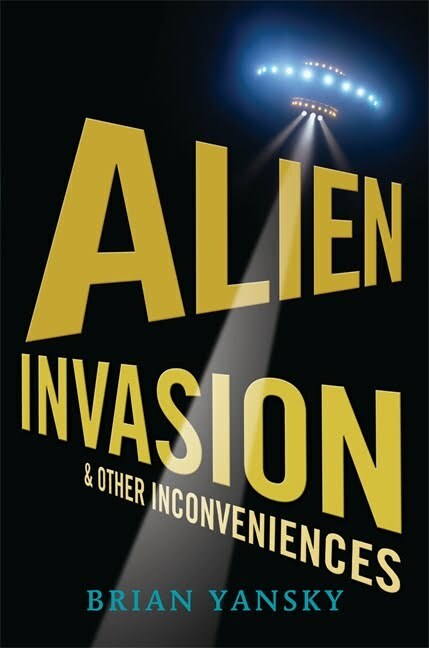 Note: Brian's upcoming novel, Alien Invasions and Other Inconveniences, will be available from Candlewick in October 2010. BookTour.com: "As the world's largest, 100% free directory of author events, BookTour.com makes finding when a favorite author is coming to your town as easy as checking the weather." Behind the Scenes with a Director of Institutional Marketing by Tim Jones from Get to the Point: a blog of Macmillan Children's Publishing Group. Peek: "First he explains that “institutional” means 'school and library' and not 'prison.'" I Love Middle Grade by literary agent Sara Crowe from Crowe's Nest. Peek: "I am mostly looking for contemporary stories. Not as a rule-- I did just take on a middle grade fantasy, but for the most part the books I love in the category are contemporary." Time to Part Ways by Jennifer Laughran from Jennifer Represents. Peek: "Agents, like editors (and like the public and most all of you, no doubt!) appreciate variety and freshness in products, whether buying them or selling them." See also Writing Nowadays - Good Agent, Bad Agent by Steven Harper Piziks from Book View Cafe. 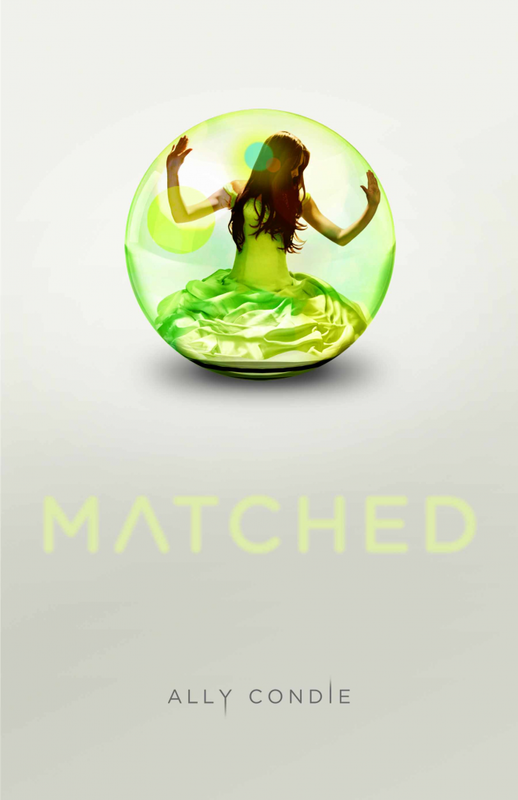 Enter to win Linger by Maggie Stiefvater (Scholastic, 2010) and Matched by Ally Condie (Dutton, Nov. 2010) from P.J. Hoover at Roots in Myth. See more information on the giveaway. Deadline: June 16. Character Worksheet Templates by Tabitha Olson from Writer Musings. Peek: "The level of depth is different for main and minor characters, but I find that I reference them more than once while I’m writing my stories." The Pacific Coast Children's Writers Workshop by Suki Wessling from Growing Up in Santa Cruz. Peek: "To add teens into the mix really does rock the boat at a children’s writing conference—instead of just getting the opinions of other adults, the writers get to hear from their target audience. On top of that, the teens bring their own work and get the same level of critique and mentoring as their adult peers." 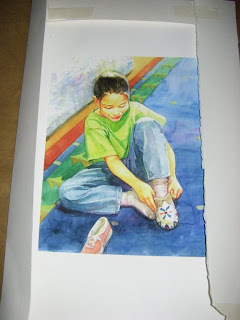 Youth Matters: My Artful Diversion by Jennifer Burek Pierce from American Libraries. Peek: "My destination was not the charming farms nor the region’s myriad historic towns; instead, I went to the Eric Carle Museum of Picture Book Art, which resides on quiet West Bay Road in Amherst." Summer Writing Schedule by Carmen Oliver from Following My Dreams...One Word at at Time. Peek: "Until 10 a.m. Mom is off limits. The invisible sign is hung on my imaginary office door. Writer at Work. Enter at Risk. Which means after I set out breakfast for the kiddos, they're to leave me be and let me write. No one is to bug me unless someone is bleeding." More Than a Little Crazy: An Interview with Darren Shan by Penelope Przekop from Aberration Nation. 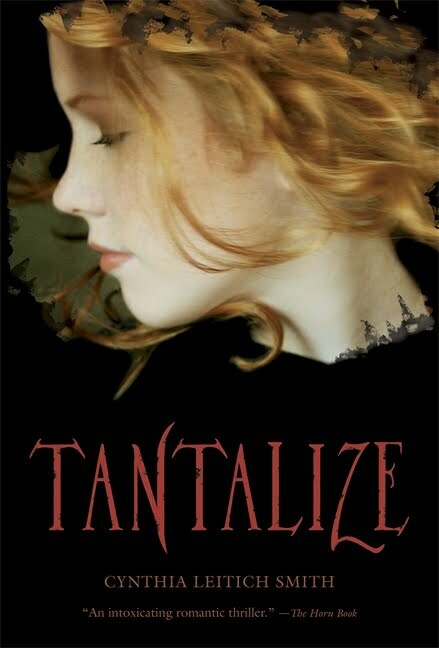 Peek: "In the end, after it [Cirque du Freak] was turned down by 20 publishers, HarperCollins in the UK took a chance on it. It was published in January 2000 and started selling like hot cakes all around the world. By accident, I found myself in the position of a globally successful children's author, and I haven't looked back since!" 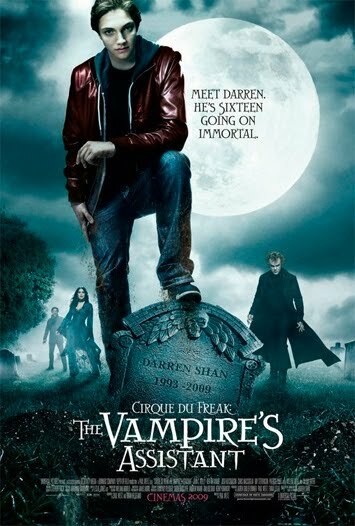 Note: I watched "Cirque du Freak: The Vampire's Assistant," a film adaptation of Cirque du Freak this past weekend, and highly recommended it. Don't miss the special features. Getting Offers from Multiple Agents by Mary Kole from Kidlit.com. Peek: "A lot of writers, though, think this is an embarrassment of riches and a great problem to have. It’s not. It’s a really stressful situation where you have to make a major business decision under time pressure, all while being wooed by really nice, really encouraging, really savvy people." See also Newer vs. Established Agents. Targeted Facebook Ads for Book Launches by Mitali Perkins from Mitali's Fire Escape. Peek: "My click-through rate has been outstanding, and the ad has shown up over 500,000 times in April and May, even with me putting it on pause for days to save money." The 2010 finalists for the Mythopoeic Fantasy Award for Children’s Literature are: Kage Baker, The Hotel Under the Sand (Tachyon); Shannon Hale, Books of Bayern consisting of The Goose Girl, Enna Burning, River Secrets, and Forest Born (Bloomsbury); Grace Lin, Where the Mountain Meets the Moon (Little, Brown); Malinda Lo, Ash (Little, Brown); and Lisa Mantchev, Eyes Like Stars (Feiwel & Friends). Peek: "The Mythopoeic Fantasy Award for Children’s Literature honors books for younger readers (from 'Young Adults' to picture books for beginning readers), in the tradition of The Hobbit or The Chronicles of Narnia." Visit with Sara Lewis Holmes by Jen Wardrip from TeensReadToo. Peek: "I hope you can lay a wreath or pause near a flag or say a prayer if you want to. But you could also say hello to that new kid. Ask about his military mom or dad or brother or sister." Visit with Roseanne Parry by Jen Wardrip from TeensReadToo. Peek: "...many teachers and librarians are uncomfortable with our present military actions overseas. Many of them are searching for a way to begin a conversation with students about Memorial Day and Veterans Day in a way that is respectful of the diversity of human experience, a way to honor the work of our service members without condoning violence, a way to recognize what is selfless in our nation’s military families without taking a political position." 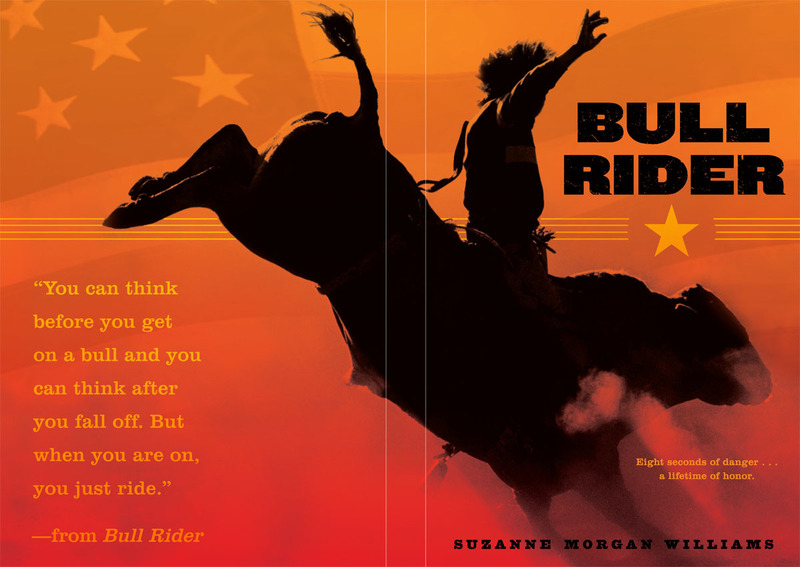 Visit with Suzanne Morgan Williams by Jen Wardrip from TeensReadToo. Peek: "...according to the latest report I found, one million, seven hundred thousand men and women have been deployed in Iraq and Afghanistan. A lot of them are teens." You must see this gorgeous pop-up book trailer for Perchance to Dream by Lisa Mantchev (Feiwel & Friends, 2010). Source: Tiffany Trent at Center Neptune. Happy summer reading! I'm taking a brief hiatus from Cynsations until next Wednesday but look forward to returning with news of new releases, author interviews, publishing scoop, agent/editor insights, and much more! This spring marks the 10th anniversary of my debut book, Jingle Dancer (Morrow, 2000), illustrated by Cornelius Van Wright and Ying-Hwa Hu (see the celebration!). But I never expected that Neil and Ying would send me an original illustration from the book--my very favorite. I'm incredibly honored and pleased by this gift, and I look forward to sharing it with future guests to my home. Thank you again, Neil and Ying! Web sightings included a photo of the Portuguese language version of Immortal: Love Stories with Bite, edited by P.C. Cast, which includes my short story, "Haunted Love," at Fracky.com.br. Gothic Fantasy, Paranormal Romance, and Urban Fantasy for Tweens and Teens from Cynthia Leitich Smith Children's-YA Literature Resources. An annotated bibliography of spooky reads, plus links to related Cynsations author interviews, horror-writer resources, and much more! See also Suspense for Teens and Tweens. Congratulations to former Austin SCBWI RA Tim Crow, whose manuscript "Alacran Turf" has been named a 2010 Writers League of Texas Manuscript Contest Finalist! Tim will receive a free ten-minute critique at the 2010 Writers League Agents Conference.